If you ever had chickenpox, you’re at higher risk of developing shingles later in life. Shingles can affect many parts of the body. If it travels to your eyes, your cornea can become inflamed and even scarred. Corneal damage might not be apparent until months after the shingles have otherwise disappeared. 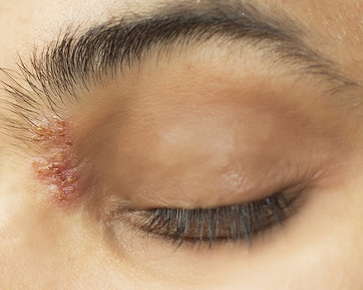 The herpes simplex virus can cause recurring flare-ups of herpes in the eye. People who suffer from ocular herpes may notice painful sores on the eyelid or the eye’s surface, or an inflamed cornea. Untreated, it can lead to blindness.